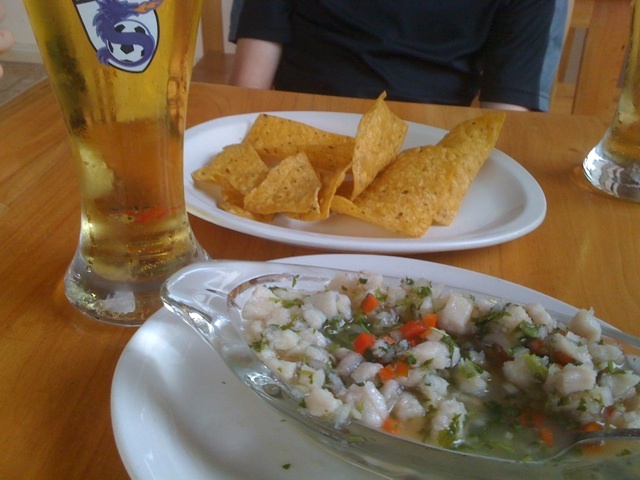 3 Responses to "Ceviche – perfect starter for lunch"
Do ever worry about making raw food at home? Yes but this meal inspired me to try it at home sometime. We were served by a friendly woman who operated a taqueria on the first floor of her home. Spotless kitchen, nice family. One of the sons plays soccer for the national team of Costa Rica so the walls were full of large team photos from their global travels. Nothing to do with food safety, but Mom seemed to run a quality operation! I had a good recipe for this but it’s missing. Have emailed my sister in the UK for it, thanks to your entry! Hate losing track of the good ‘uns.